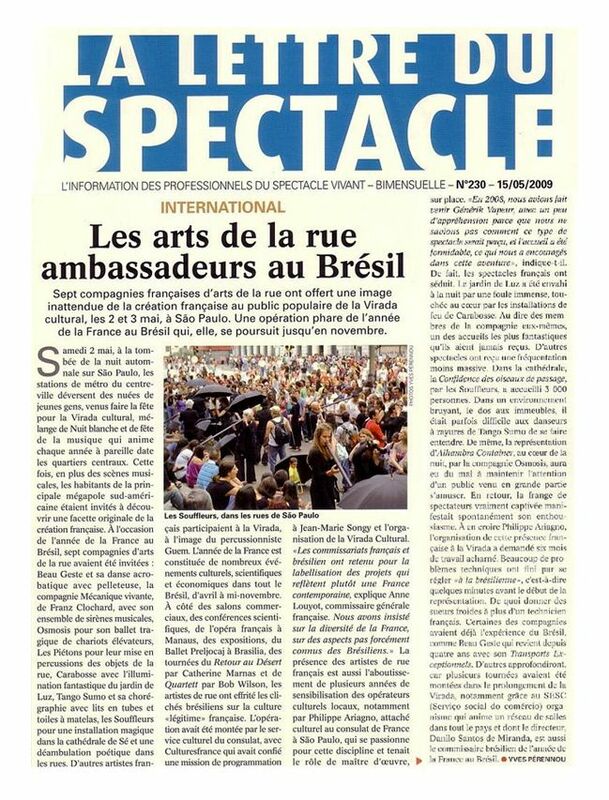 LA LETTRE DU SPECTACLE is a bimonthly trade magazine focused on recruitment for art professionals. The magazine is the first job and professional advice support for show and art professionals in France. According to Mr. Marc Nicolas, editor of the magazine, LA LETTRE DU SPECTACLE is «a permanent watch on employment in the show business sector."